Fantastic Egypt , located between latitudes 25-36 north 0.32 to 33 in the east, and away from the Egyptian capital, Cairo, about 670 km, and the northern city of Aswan about 220 km, and south of the city of Qena, about 56 km, and south-west of Hurghada, about 280 km, is bounded on the north qus and the province of Qena, and from the south Edfu and Aswan center, and on the east side of the Red Sea province, to the west Armant center and the province of new valley, the nearest sea ports of the city is the port of Safaga, and is the closest airport to Luxor international Airport. 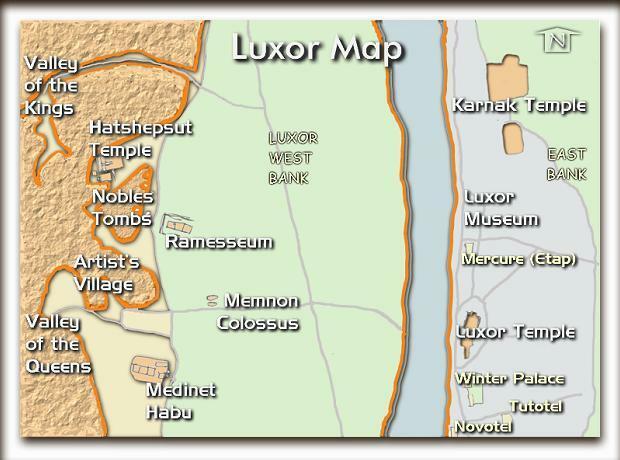 Map Cairo Map Alexandria Luxor Map Of Luxor, an area of ? 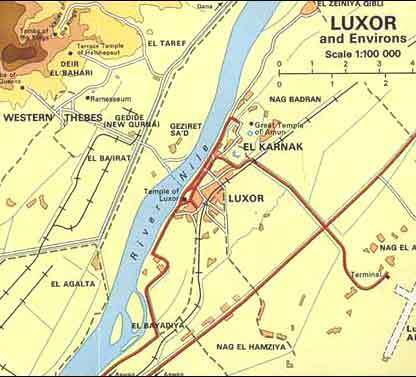 ?about 416 square kilometers, the area inhabited is 208 square kilometers, with a population of approximately 487,896 people, according to the census of 2010, the divided city of Luxor administratively into five Heachat are legitimate Awwamiyya, ancient Karnak, the new Karnak, Qurna, facility Amari, six cities affiliated villages are Bayadeya, Odaysat nautical Odaysat before me, Tod, Albgdadaa, Habil, is said to be shorter, with approximately one-third of the world's monuments, it also includes many of the monuments of Pharaonic old, divided into eastern and western Albrain of the city, featuring east Bank Luxor Temple, Temple of Karnak, and rams through the link between the two temples, the Luxor Museum, and the western mainland fitted and the Valley of the kings, the Temple of Deir el-Bahari, Valley of the queens, Deir el-Medina, Temple Ramesseum, and a statue of Memnon. Because the founding of the city of Thebes to the Fourth Dynasty around 2575 BC, and even the Middle Kingdom were not good more than just a collection of huts Statistics contiguous, though, so they were used as a cemetery for the burial of the dead, it was buried where provincial governors since the era of the old state and then, and then it became the city of Thebes later in the capital of Egypt in the eleventh Egyptian dynasty at the hands of the pharaoh first Mentuhotep, which succeeded in uniting the country again after the chaos transmitting in Egypt in the first Intermediate Period, and has been the city of Thebes, capital of the Egyptian state until the fall of the rule Pharaohs and the family Thirty One at the hands of the Persians 332 BC. 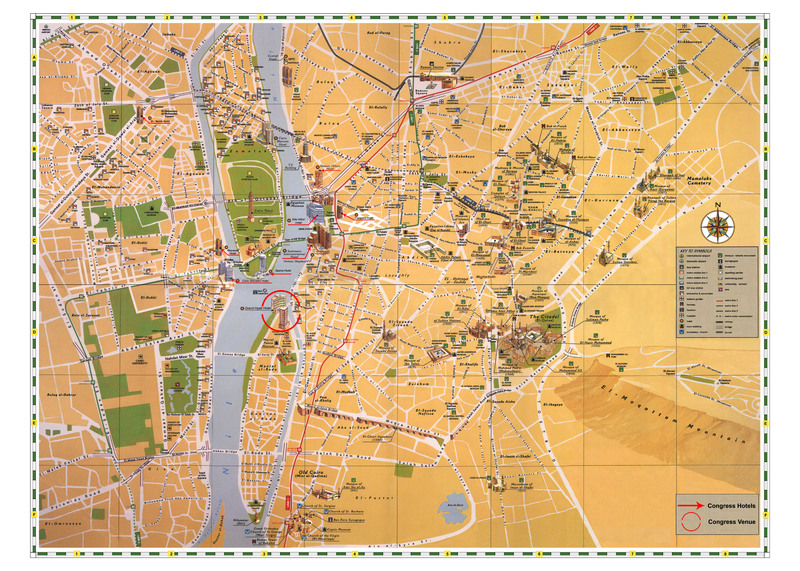 Map Cairo Map Alexandria Luxor Map Cairo of Egypt Practical information about Egypt Capital Cairo Type of government: Visas If you are a USA citizen, you need an entry visa for Egypt. The arrival must be made no later than three months from the date of issuance of visas. The duration of your stay is taken into account from the date of entry into the country. The period of validity is 1 month (single / multiple entries) for non-nationals from Arab countries. Description of Egypt Egypt is surrounded on the north by the Mediterranean, south by Sudan to the west by Libya and east by the Red Sea and Israel. 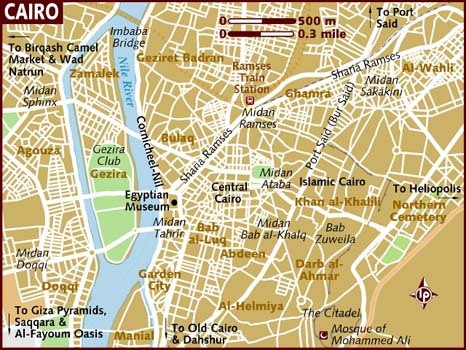 The Nile divides the country into two unequal parts, while the Suez Canal forms a third separation with the Sinai Peninsula. Beyond the valley and delta of the Nile, lush areas inhabited by over 90% of the population, the landscape consists mainly of a flat desert, devoid of vegetation, apart from a few oases that have persisted in the once fertile depressions Desert West. Narrow bands are inhabited land on the Mediterranean coast and on the African coast of the Red Sea. 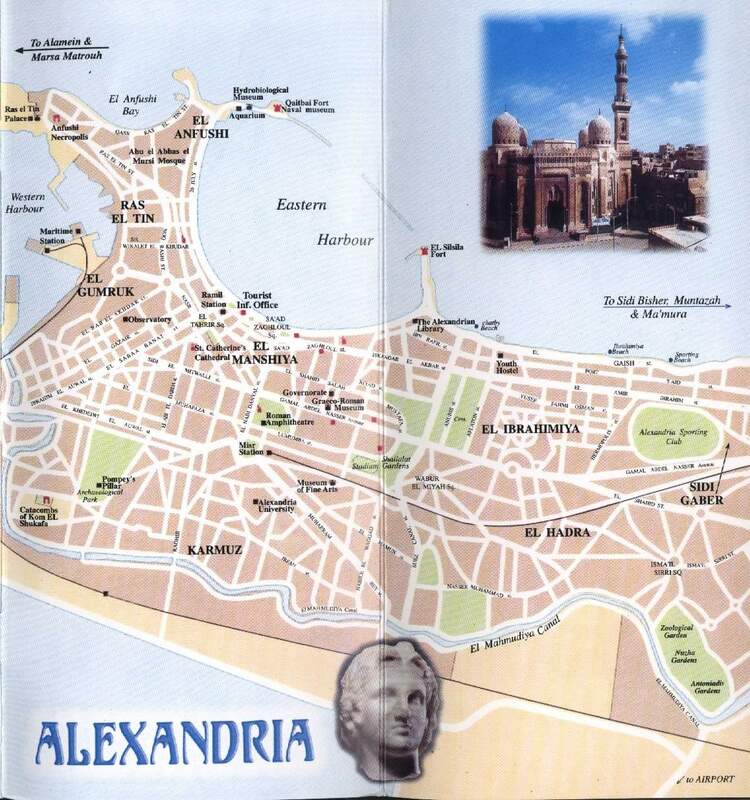 The coast south of Suez offers beautiful beaches and offshore coral reefs that attract many divers.